1 What is Plastic Packaging? 3 You should try to design the Clear PVC Box that tells your brand’s story. The most widely used plastic in the world is PET, which is made out of polyethylene terephthalate. PET is most commonly used for fibers for clothing, containers, and thermoforming for manufacturing. PVC is polyvinyl chloride and is most often used for plumbing and drainage. Polypropylene, or PP for short, is a thermoplastic made from the combination of propylene monomers. These clear PVC box can be found anywhere in your home; from your windows to your furniture. Plastic is used all the time and by everyone. Plastic products are used so frequently because it is affordable and in fact, many plastic retail boxes are relatively strong and can hold up in the worst of situations. Unlike other materials like wood or metal, plastic will not decay or rust. PVC/PET/PP plastic products can be molded into practically any shape. This is what makes plastic packaging so easy for you. You can have virtually any design for your plastic retail boxes. 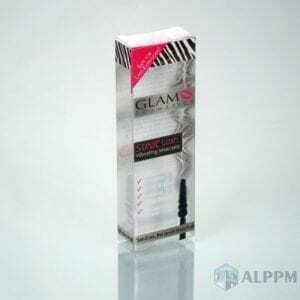 Clear PVC Box is simply plastic and is for the most part cheap. So, you will be given a fair price. High-quality raw materials guarantee that your PVC/PET/PP plastic retail boxes will come out without a problem. These plastic retail boxes are durable, waterproof, and lightweight. Whether your product is for cosmetics, electronics, etc., your product will be safe in a PVC/PET/PP plastic packaging. 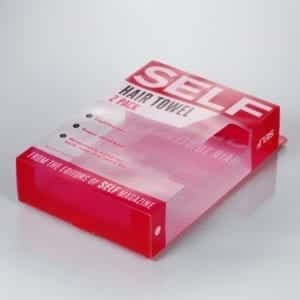 An advantage of plastic packaging for your retail product is hygiene. Obviously, plastic is known to be shatterproof. You can drop plastic and it will not break. Most people are prone to accidents, so choosing good quality plastic retail boxes for your product prevents dangerous encounters like one would experience with glass. Plastic packaging is ideal for keeping germs away. Your product can be packaged and sealed without getting human germs on it at all. Plastic packaging is reliable and safe for your consumer. There are many advantages in choosing ALPPM for your retail industry. They make the best plastic retail boxes. Choosing a good design and relying on ALPPM is a good decision. 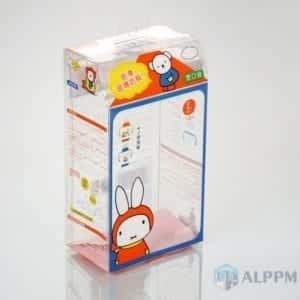 ALPPM is a great retail plastic packaging company from China. They lead the modern industry when it comes to plastic packaging. Are you part of a retail industry? Do you need a good design for your retail plastic boxes? Well, this guide can be your solution. Picking the right plastic packaging supplier is no easy task. You will need to find a plastic manufacturer that will suit all of your plastic retail boxes needs. You should try to design the Clear PVC Box that tells your brand’s story. It sounds cheesy, but you want your plastic retail boxes to stand out from your competitors. You need to show that your product is better. Another thing to think about while designing your clear PVC box is what your consumer thinks. Just because you like the design does not necessarily mean the buyers will like it. Today’s market is unprecedented. Society today is on a way different wavelength than it was fifty years ago. People today expect the packaging to be designed for them. If you have a budget or marketing goals in your head, you may not benefit from those ideas. 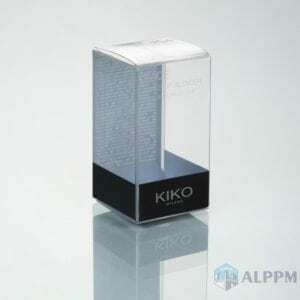 You need to design the plastic packaging with the consumer’s life in mind. Safety packaging is slowly fading. People like things that are easy to open. If you plan on selling your product to children or young adults, make the packaging pop. Young people are more likely to buy something colorful over something that looks dull. If you are in the food industry, then you should stray from plastic boxes. Brown boxes are boring and are not suitable for food products. However, that is not the only reason you should stay away from boxes. Normal plastic retail boxes are big and bulky and can get in the way. Using a box can put you down for the count against your competitors. Try to use a design that fits well with a plastic package. You should aim for something easy to carry and aesthetically pleasing. In the cosmetic market, creativity is extremely important. You need to take every detail of your plastic packaging step by step. Think about how you want your customer to experience the packaging. You should design the packaging in a way, so the consumer can envision their own attractiveness. Make the buyer think that your product works before they even buy it. 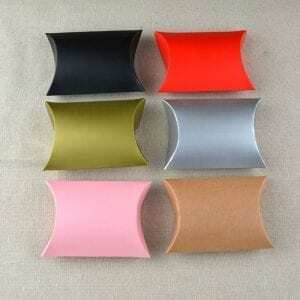 Maternity or baby products should have similar plastic packaging to that of cosmetic products. They need to be easy to open and have a slick design. They also need to be waterproof. The plastic packaging needs to be honest and clear on what the product inside is. You do not want confusion about the product stemming from the package. The plastic packaging should be practical and easy to read. Being clear and concise in your plastic retail boxes can be a game changer. Things are a bit simpler when it comes to electronics. Essentially, you just want your product to be safe. The retail plastic packaging for electronic products needs to ensure that your product will not break within the confines of the packaging. A box will usually suffice. However, this does not mean you should just slap some brown box on it. Your package needs to have a picture or design that represents your brand. Plastic packaging for electronics needs to be secure as well. The top priority is no longer ease of access. You would not want your product stolen because the packaging was easy to tamper with. The product should be safe and in a durable plastic packaging. If your industry supplies household items like blenders or toasters, you need to pay close attention to this next part. You want to stand out on the shelf. This particular type of product needs to be eye-grabbing. There are tons of different living products. You need a clear PVC box that grabs the attention of people walking by. Your plastic packaging needs to be more visual than your competition. Plastic packaging is a product. Of course, the thing inside the plastic retail boxes is the product too, but the package is the product everyone sees. 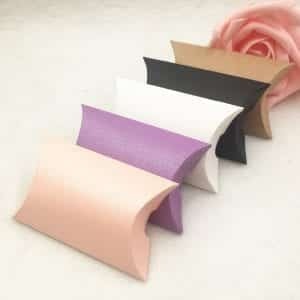 It introduces your product, and the packaging should protect and preserve your product. The package is the body while the product is the soul. There are different types of packaging. Primary packaging is what the buyer will take home. Secondary packaging is what keeps all of your packages together. This can be anything like boxes or wrapping. It is the package around your package. There is also tertiary packaging. Tertiary packaging is what carries the packages. Used for transportation, tertiary packaging can be anything like cartons or pallets. Before choosing a plastic packaging design, you need to make sure that the design will cooperate with all three different types of packaging. Will your plastic package hold together well? Is it easy to transport in mass amounts? These are questions you need to ask yourself. You should design your plastic retail boxes in a way so that it can fit within itself. You want your package to either match up like a puzzle or literally fit in itself. Your product is important and we understand that. However, many startup companies make the error of focusing too much on the product and not enough on the packaging. Do not let yourself get carried away with your product. If your product is great, but you have a bad package, nobody will buy it. You want your plastic packaging to reflect what is inside it in full detail. You never want to overlook the plastic packaging. Think about shelf space and the ability to transport. If people cannot move the packaging properly, then they will not be interested in the product. There is a ton to consider when designing your plastic retail boxes. 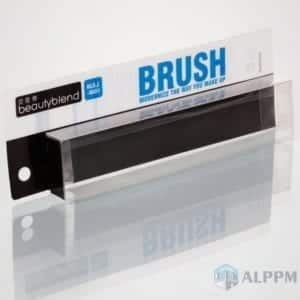 Yes, ALPPM can do custom clear PVC box. The issue is, will it fit your needs as well as the customers’ needs? Everybody works with a budget. You need to take into consideration what kind of material you are going to use when manufacturing. Being cheap may save you money, but can harm you in the long run. However, spending a ton of money on the best material but with a poor design can have the same effect. Choosing the right material depends on your product. The packaging you decide to use needs to be able to handle product promotions and developments. Consider flexibility, ability to transport, and capability of processes. Your clear PVC box design needs to fit your business. Everyone gets excited about recyclability, but you need to ask yourself if it fits your business. Studies show that 60% of packaging is recycled. Ask yourself if it is cost effective, though. You need a legal and sustainable plastic packaging plan. Does your clear PVC box look good? Because that is essentially what matters. Do not underestimate attractive packaging. Most purchases made in a store are based on how good the package looks. Ask yourself if your product is ready for the shelf. If your plastic packaging represents your brand and meets customer needs, your product will sell effectively. Your plastic package needs to be informative and user-friendly. The last question you need to ask yourself: is your plastic package designed for the customer? Being consumer-friendly is the retail plastic package’s most important job. By far, the worst thing to do is make a package that causes frustration. You will want people to give your product a chance. Making a faulty plastic retail boxes will surely turn consumers away from your product. There are a million reasons why you should choose ALPPM as your retail plastic packaging supplier. For one, their clients are well-known, big-time brands. You can recognize brands like Adidas, Sony and Starbucks Coffee. These are just a few from the incredible and extensive list of clients ALPPM already supplies. You can see the full list for yourself on their website. ALPPM can make materials, print, die cut, glue, and package all in the same place. So, you do not have to worry about spending your budget on all the different steps of creating the packaging of your retail product design. Their team is capable of anything and everything. They are able to create a clear PVC box with the help of a Heidelberg printing press imported from Germany. The German printing press is a six-color UV printing piece of machinery. Making a decision on whom your plastic retail boxes supplier can be a difficult one to make. However, choosing ALPPM is never the wrong decision. They are a trusted company and can handle any task. You can take a look at the plastic retail boxes video showcase. ALPPM is always prepared with a full set of material inspection processes and equipment. They offer a wide variety of products at a respectable price. Furthermore, they have successful clients. 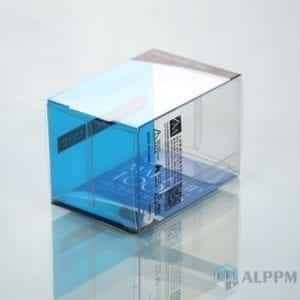 ALPPM is a leading plastic retail boxes supplier throughout the world. Your trust is safe with your choice in ALPPM. As always, the decision is yours to make. Considering ALPPM as your retail packaging supplier is a smart move. However, the right move is choosing ALPPM to be your number one plastic manufacturer. This entry was posted in Plastic Packaging and tagged cosmetic packaging product, food packaging, PET, Plastic Packaging, plastic retail boxes, pp packaging, PVC, Retail Packaging.